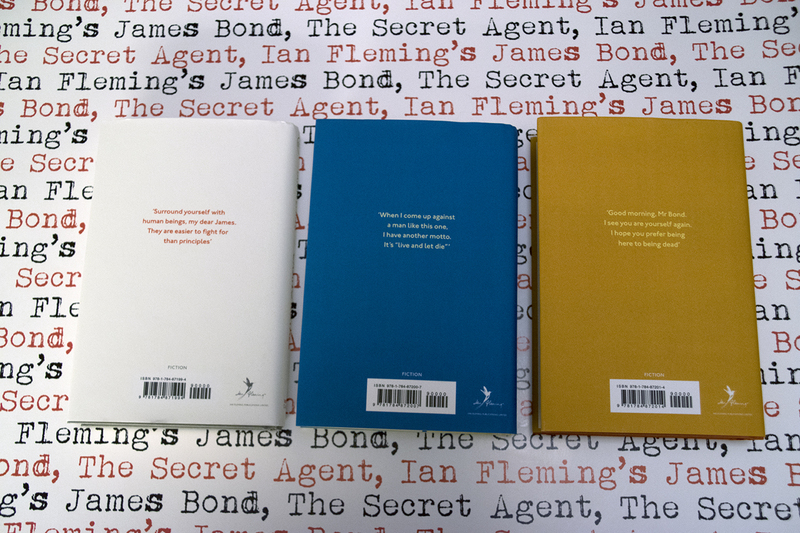 Yesterday a package arrived from Great Britain sent by Penguin Vintage Classics. 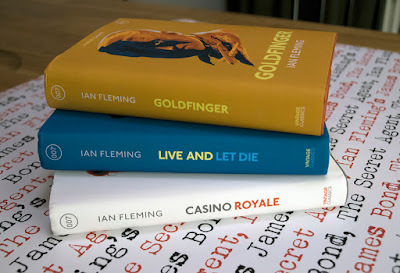 I was happy to notice that it contained the three James Bond novels by Ian Fleming that they have published with a release date set for today, November 2, 2017. Many of us were amazed by the cover design for these books by artist Levente Sabó. The illustrations are very cleaver containing a face with high points from that very novel. For instance on James Bonds face on the Casino Royale Cover you can see the car chase from that story. So what about the size of the books. I did find them a bit small but they are not as small as the Viking/Penguin series from 2002 and not as big as the Penguin 2008 series. I knew that they would contain an introduction by John Cork but they also contains photos and copies of letters of the book you have just read. 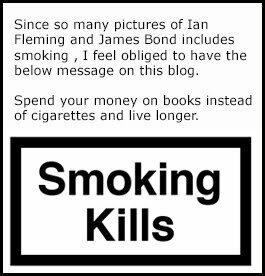 This was a great opportunity they had here but sadly they used pictures of Fleming that are very common and the letters were all in need of some Photoshopping to make them much easier to read. 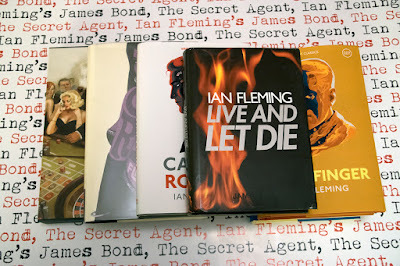 The books are still highly collectable and I would continue to collect them if they made more in the series. For the first time reader they must be a treat. 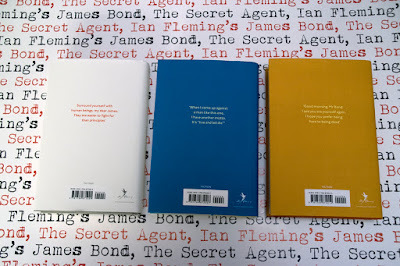 If you want to make sure the books are first editions make sure they bare the serial number 13579108642. The digit 1 in this series of numbers stands for a first printing. To my knowledge these books can only be bought in the UK. IF you live elsewhere you need to buy them online and then I suggest Amazon.co.uk. 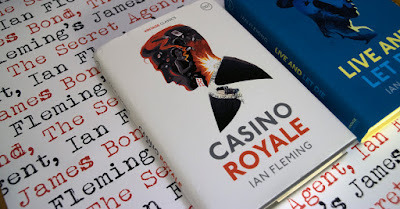 You can order Casino Royale here. 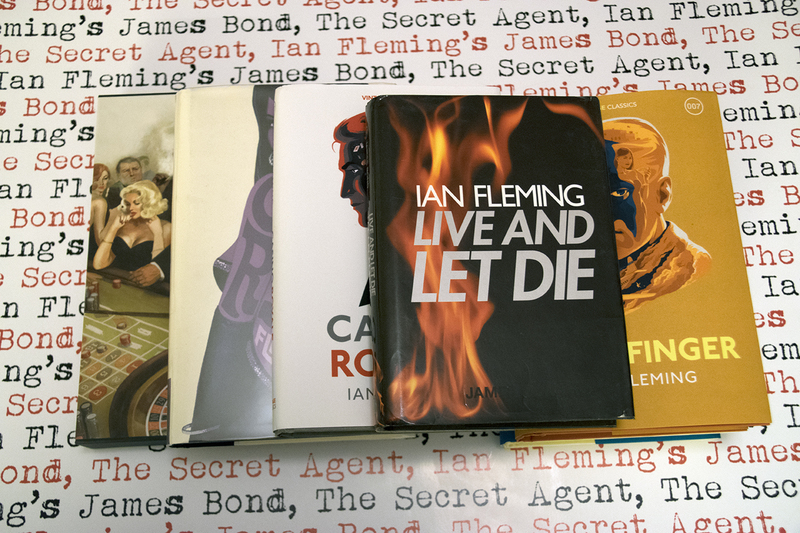 You can order Live and let die here. You can order Goldfinger here. Compared to other recent releases the Vintage Classics 2017 are quite small in size. The back of the book with great quotes but I am still missing out on a picture of Ian Fleming.